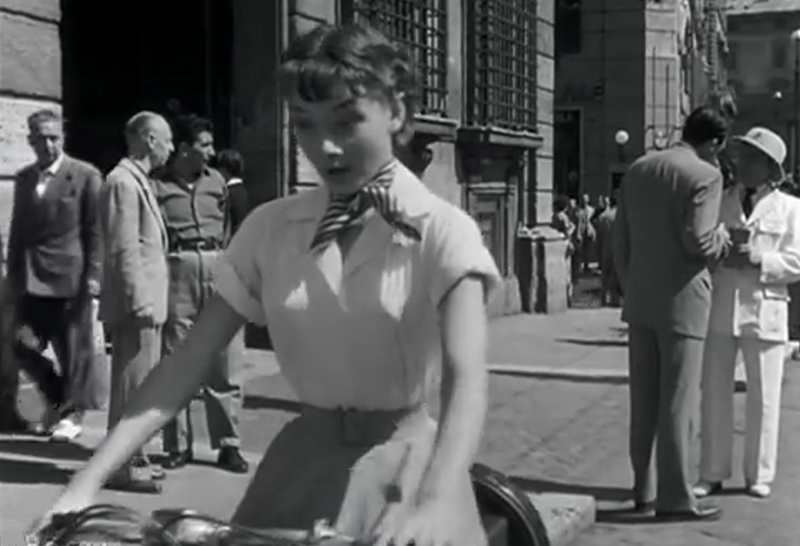 A scooter and an enchanting movie star: Audrey Hepburn. 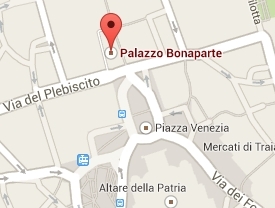 starting right from Palazzo Bonaparte in Piazza Venezia. 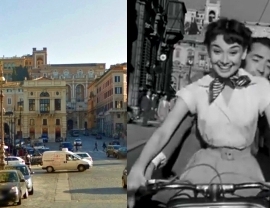 In 1953 the American director William Wyler was standing in Piazza Venezia behind his movie camera to film a famous and most entertaining scene: Audrey Hepburn's scooter ride in "Roman Holiday" motion picture. 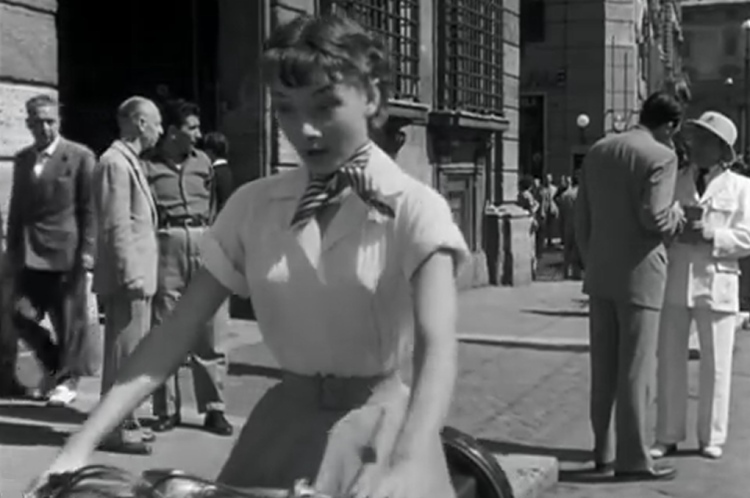 The fascinating actress fumbles with the scooter ignition and suddenly sets off towards Via del Plebiscito in a rush to the utter astonishment of Gregory Peck. 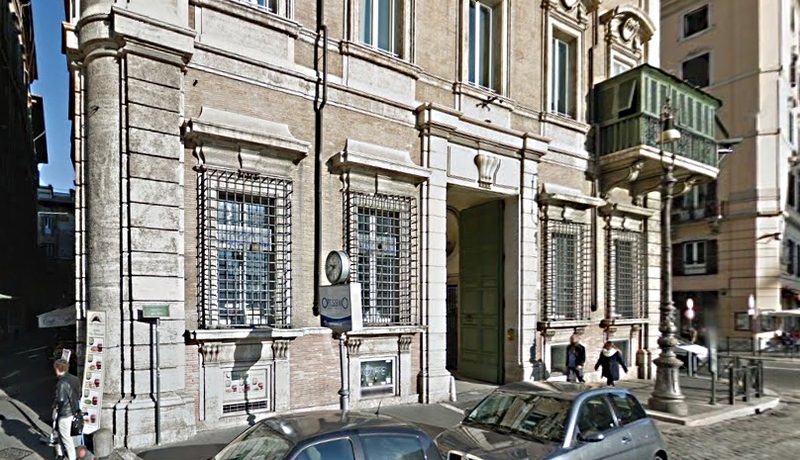 The action takes places in front of Palazzo Bonaparte, whose fine windows provided with elegant seventeenth-century iron gratings are clearly recognisable in the movie. So a thin, invisible line connects the twentieth-century American movie star to another woman, Maria Letizia Ramolino. She was the mother of a giant of European history, Napoleone Bonaparte. 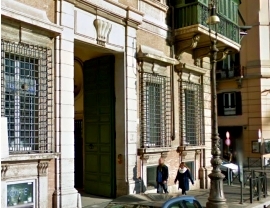 After the death of her son in St. Helena, she has resided for many years in the rooms on the first floor of Palazzo Bonaparte, spending her final years just peeking out from the covered balcony, which still exists, at the people passing in Via del Corso. Two famous women, one place. In that lies the magic of Rome. 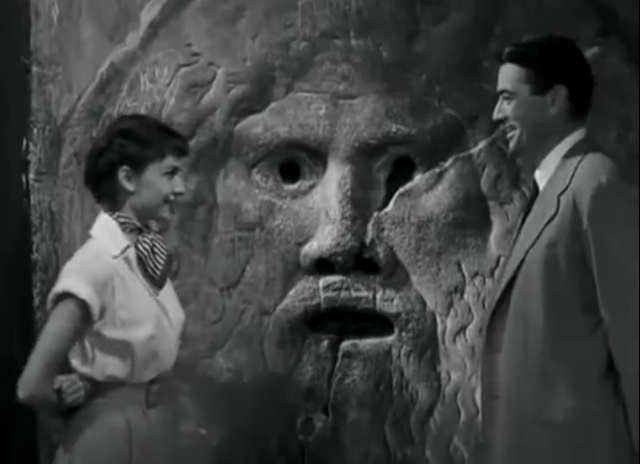 Ann pauses as she looks at Joe. She stops, then her face softens. The press stirs, muttering to themselves quietly. She turns to look at Joe.